The features included within the Metron software allow you to not only shoot fantastic images, they provide the means to use the images in so many ways. An optional feature, you can now require your staff to log in to the Metron system just like you do with your practice management software. 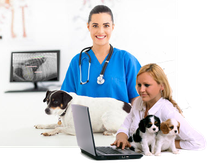 The big benefit to the log in system is that it supports three classes of users: Administrator, Veterinarian/Physician, and Operator. The Administrator can configure the privileges for the other two classes. Learn how to customize date format for image annotations and reports. 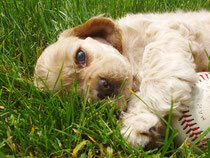 To set the date format for files and folders, you would use the "Save By Rule" method. This allows you to set one format for your files and folders and a unique and separate format for image annotations and reports. Video Length 3:03. Calibration of Images in Metron. Calibration should be performed on images to allow mark-up for measurements and scoring as well as overall quality for viewing and reports. Metron includes several methods for calibrating an image. Advanced Image Processing in Metron. When bundled with imaging hardware, such as DR, CR, or CCD radiograph systems, Metron’s goal is to produce an excellent image with little or no adjustments required by the user. These topics are discussed in this video: Video Length 8:20. Window Leveling is a popular technique used when manipulating the image appearance. Window leveling values change on mouse movements and correspond to medical industry standards. Video Length 2:31. Here we will present how to add an image into the Metron database from a saved file on your PC. 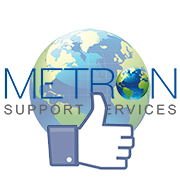 Any image file on your PC or on your local network can be imported into Metron. Video Length 4:50. Adding Forms into the Metron Database. Using a form in your study allows you to create a composite image containing multiple original images. These can then be used like any simple image in Metron, for example the composite image can be printed, e-mailed, etc. Video Length 5:23. Free Mark-Up presents a number of tools that you can use to add notes and measurements to your images in Metron. This training session will describe each available tool and how to use it. Video Length 7:10. The Metron "Report" tool is another quick and easy interface to create a document that contains X-Ray and photo images surrounded by relevant text. You are able to choose from one of the many templates to create your report and cover page information. Within the report you have options to type patient and study details, add images, forms, captions and comments to provide a complete diagnostic review for your clients and peers. Video Length 8:33. Generally, all images of one single study are shown as thumbnails on the screen. Metron also allows you to group images together from more than one study. This kind of image grouping is called a "Collection". Watch this training session to learn how to create a collection and understand why it would be used. Video Length 5:04. If you want to change your default settings for the annotation options, watch this online training session to see all the options to personalize copy detail on your Metron images. Video Length 6:04.